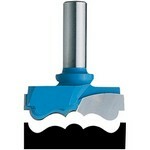 Smooth cutting, one-piece rosette cutters feature shear cutting carbide-tipped edges for both slicing and scraping action. 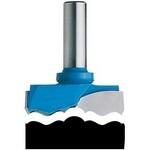 Get professional results and a fine finish. 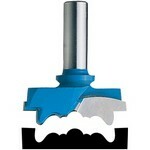 Milled from a solid steel blank, these Roman Carbide® carbide-tipped 1/2" shank Rosette Cutters make crisp rosettes in most hardwoods and softwoods. 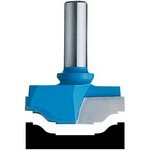 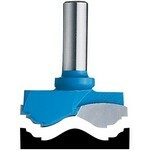 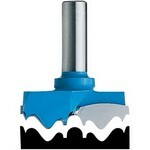 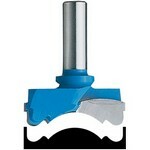 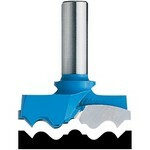 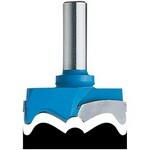 Please note: Although these cutters look like oversized router bits, they are too big for normal router speeds and are designed for use with a variable speed drill press or lathe only.